The Wild Age is at the same time a strategy, a survival game, a role-playing game, and even with an admixture of the Tower Defense genre. Here you will have to engage in the creation of a settlement, deal with social issues and tasks of people, defend and fight, survive and travel. But the main feature of this game is a huge open world in which you can do anything. Travel, explore the world around you, hire settlers to perform various jobs, develop, and in general, do whatever you want. At the same time, for each individual settlement you will have certain goals to be achieved, so do not forget about them. As for the main character, you can choose one of those available at the beginning of the game. Also, the hero will need and mount. In addition, you will need helpers who you can hire in the settlements. In this case, everything in The Wild Age can be customized, up to the appearance of your hero, coins and the coat of arms of each individual settlement. Assistants play a very important role. One may be a forester, another a farmer who generates income, a third archer who is engaged in hunting and protecting a settlement, and the fourth is a knight who can protect archers and everyone else. There are several avatars and mounts available. Each avatar and mount has different attributes that will change your approach to the game. Several kinds of unlockable pets will follow and aid you throughout the campaign. Ability to customize coins, the coin bag and the coat of arms of the settlement. To unlock some options, it is necessary to complete the main tasks of the campaign. It is possible to edit the avatar settings at any point in the game. Builder - builds and improves buildings. 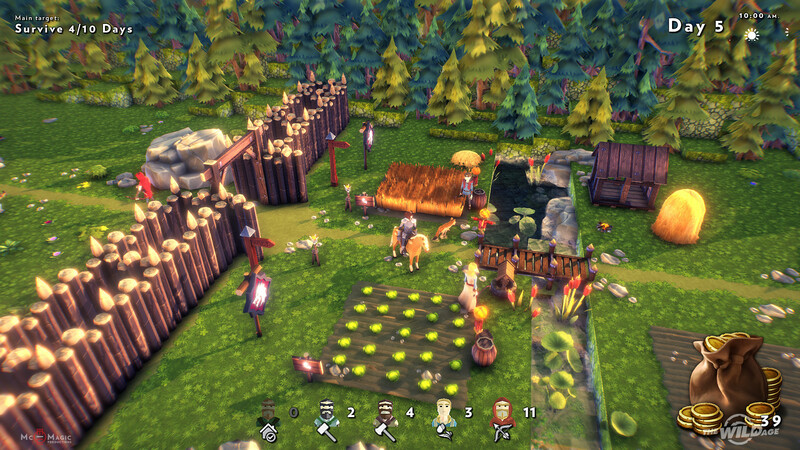 Forester - chops trees and clears wooded locations to further expand your settlement. Farmer – provides a stable supply of coins before the winter comes. Archer - hunts wild animals during the day and defends your settlement at night. Archers can change their positions and adapt to the defend the settlement. 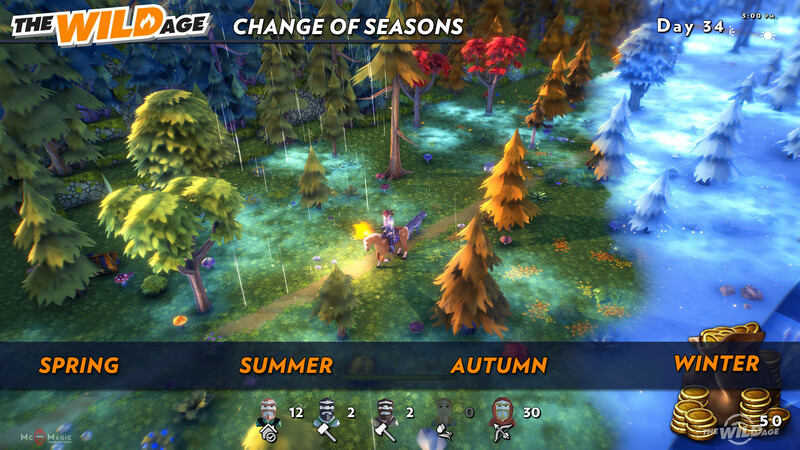 Knight (soon - not available now) - defends archers and is able to follow the leader during the attack on goblin bases. Ability to cancel an action already entered. Ability to destroy an already built structure. Ability to change your character and mount. Ability to create an island according to your ideas and share with your friends. By the way. Will defend against anyone, because at night you will be attacked by goblins and other equally evil enemies. In general, this is a typical role-playing strategy in which you have to build and develop settlements, trade, earn money, travel, search for treasure, fight goblins, in every way please settlers, hunt, hire mercenaries and do much more. In general, you will not be bored. Additional Notes: The game can likely run on lower rated hardware, but we can't guarantee the performance or provide support. Windows 8 or 8.1 is not officially supported. Additional Notes: This recommended is based on what many of us tested the game on while in development. We're confident it supports a smooth experience. Windows 8 or 8.1 is not officially supported. Fixed the issue when the native resolution was a little unique/non-standard this has caused a bad reading of the game's global settings. Modified mouse cursor behavior in software support. Fixed issue with "Bloom Off" settings - now correctly turn off any blurring of the image. Some proofreader of an English translation. Added support for the Turkish language (still subject to final proofreading). Some proofreader of a German translation. Added support for Korean language (still subject to final proofreading). The game is already running in the background. Pet now collects coins faster. Added translations of Achievement for Turkish. Added translations of Achievement for Korean. 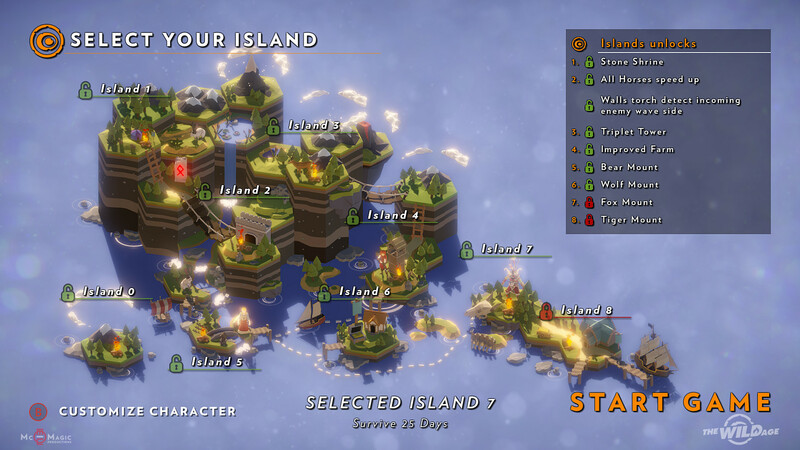 The island code is already correctly displayed in the pause menu (when the island was created via the editor). 0.54.005 - Fixed problem with wall price on Hard difficulty. 0.54.006 - Fixing a trader's behavior - if his camp is too far from the city center.